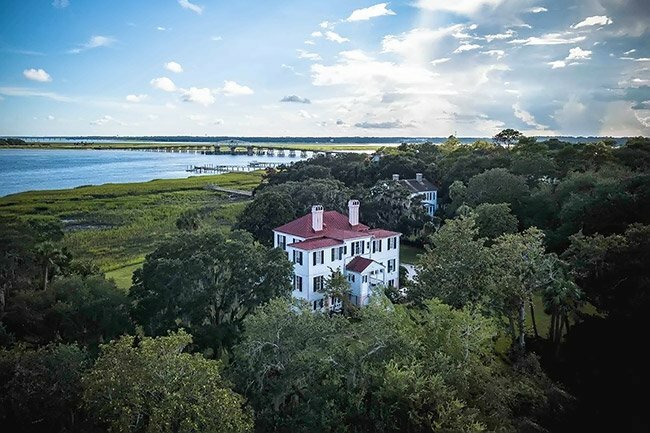 Surrounded by pristine marsh vistas, this historic home – aptly named Marshlands – stands on a large lot in one of Beaufort‘s most historic neighborhoods, Old Point. It was built between 1810 and 1814 for Dr. James Robert Verdier, second son of local merchant and planter, John Mark Verdier. Dr. Verdier became well-known as a pioneer in the treatment of yellow fever. We do not yet have a complete timeline for ownership of Marshlands, but the following tells what we know thus far. Prior to the Civil War, William Chisholm owned Marshlands. It then served as the headquarters for the United States Sanitary Commission, a program created in 1861 to care for wounded Union soldiers. In 1875, Sarah P. Chisholm and Samuel A. Chisholm made a direct tax claim for the property. (We assume they were related to William Chisholm but are not yet sure how.) (1) The Burckmyer family owned the home at some point thereafter (2). 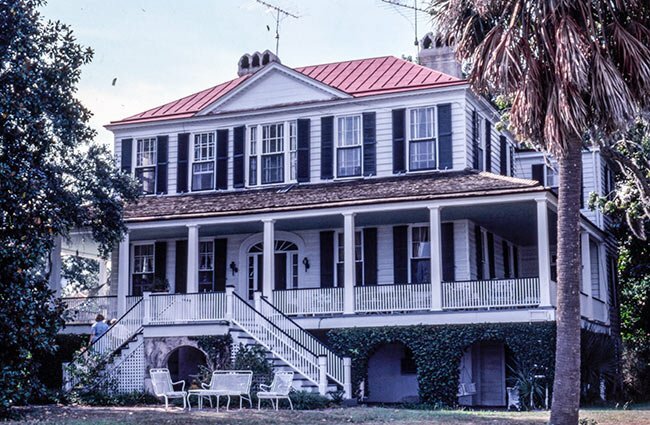 The home was not called Marshlands until the twentieth century, when it was given this name in honor of a fictionalized Beaufort home that appeared in Francis Griswold’s novel, A Sea Island Lady, published in 1931 (2). We do no know what it was called before Marshlands, although it is now also referred to as the James Robert Verdier House. 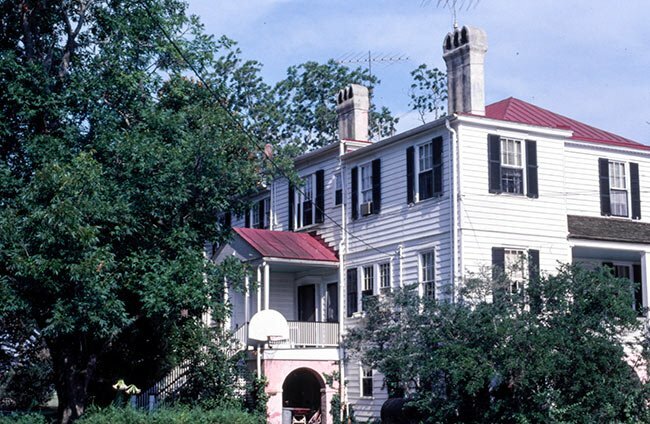 This leads to some confusion as another Beaufort home is known as the Verdier House, that one in honor of John Mark Verdier, Dr Verdier’s aforementioned father. It should be noted that there were once two other Marshlands in South Carolina, both of them plantations. One Marshlands was located on Hilton Head Island, and the other Marshlands was located in North Charleston. The land on which this latter Marshlands stood eventually became the site of the Charleston Navy Base. 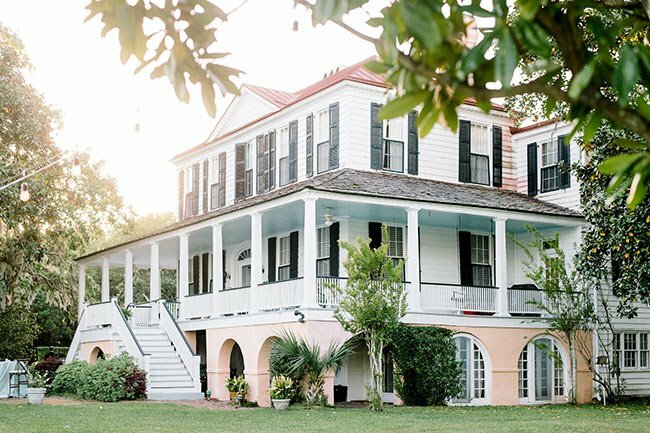 While Marshlands fits its surroundings beautifully, its style does deviate from what was considered standard in Beaufort during the time of its construction. Most homes in this area favored the Georgian and Federal architectural styles with double porches (one on the first floor, one on the second). Marshlands, however, resembles a Barbadian plantation, and instead features just one porch over an arcaded basement. The basement is built of tabby, which is found prominently in South Carolina’s Lowcountry and consists of oyster shell (an aggregate), lime (often made from burnt shells which serve as a cement), and water. 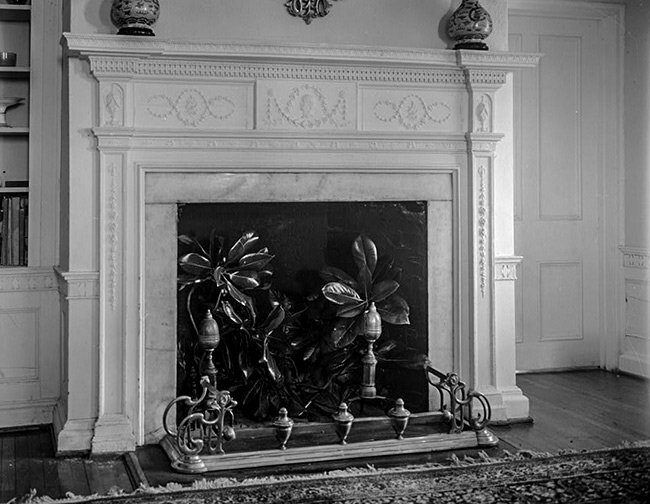 The West Indian exterior transitions to a more formal, Adamesque interior, as seen in the mantle motifs (shown above) and a Palladian window above the staircase. Although Marshlands is privately owned, it occasionally serves as a venue for organized home tours and oyster roasts held by various organizations in the Beaufort area. 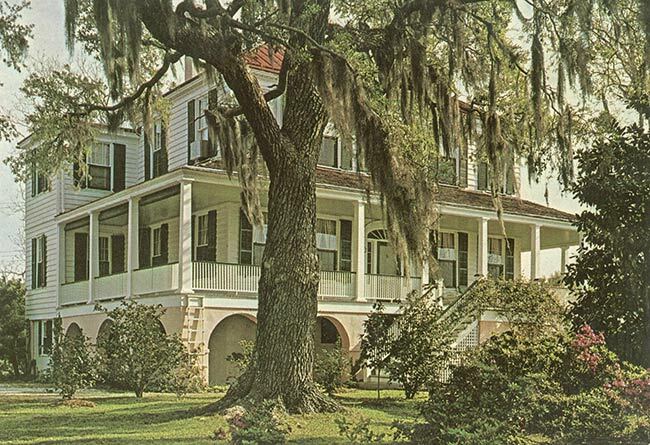 Marshlands was selected as a National Historic Landmark in 1973. Other significant homes located in the Old Point neighborhood are The Castle, The Oaks, and Cuthbert House. (James Robert Verdier House) Marshlands was built ca. 1814 for Dr. James Robert Verdier, who achieved prominence when he discovered a treatment for yellow fever. During the Civil War, this house was used as headquarters for the United States Sanitary Commission. Set high from the ground upon a tabby arcade, the two-story house gives evidence of Barbadian influence in the single story veranda that runs the length of the front and to the sides. This West Indian influence is well-blended with the more formal Adamesque features of the Republican period. The sheet metal roof is painted red and the shutters are dark green. The tabby arches of the cellar are pale pink. Double stairs lead to the porch landing; the front entrance has both a fanlight and sidelights. The interior mantels, particularly those in the dining room and the drawing room, are fine Adam designs.